what a great look! I love the lipstick color! Thank you so much! I greatly appreciate that! that necklace is just perfect! I love your necklace and your Mulberry bag! I have to have them! Thanks for commenting on my blog! I love your necklace and skirt!! 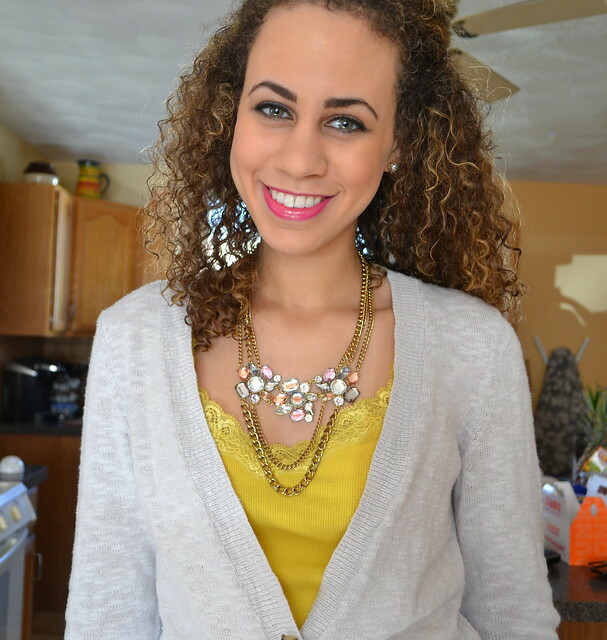 You look amazing and i love your blog! Love your blog! I've followied you and liked your Fcaebook page! nice look!!!!! by the way you have great eyes!!!!! That necklace is very pretty and feminine. I loved the Mulberry for Target collection, I never saw this bag too cute! i love this outfit! 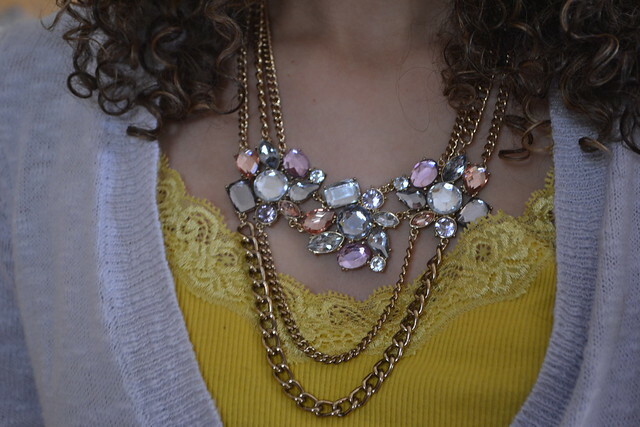 the necklace just brings it all together nicely!